So many nice details & great set up of a room. Natural colours, space, spacious, inviting & inspiring. With Christmas around the corner & with colourful creations wherever you turn in shops, restaurants & on the streets – that glimmers of light strings from head to toe including fences & cars – I wander around in my inner world in peaceful natural colours. 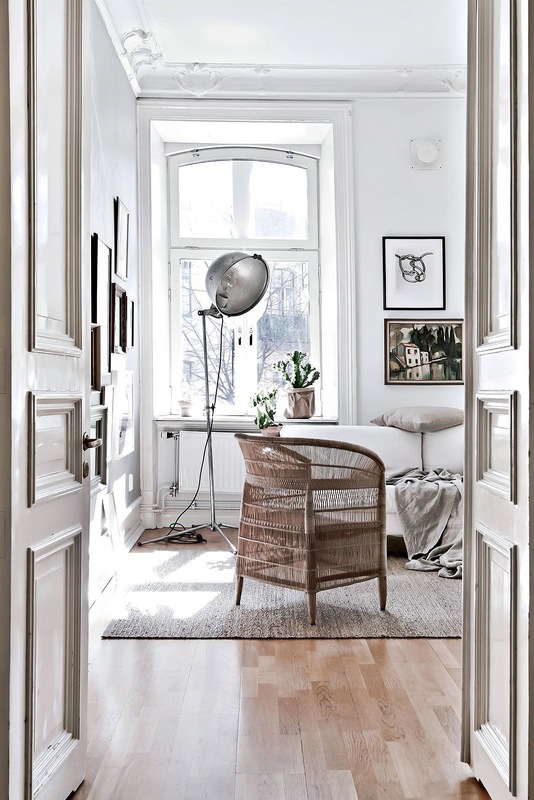 A small focal point of a living room decorated in natural colours & with great influx of daylight – the wicker chair in the foreground, looks very nice in this inspiring setting.